For most pets, good health means healthy portions of food on a predictable schedule. For most pets, good health means healthy portions of food on a predictable schedule. This automatic feeder lets you stick to that routine even during a long day at work, or when running errands on the weekend. Two removable, dishwasher-safe trays are hidden away under durable plastic doors that don't open until you want them to. Keep your pet on a healthy feeding schedule even when you're away. Each compartment holds 1-1/2 cups of food. 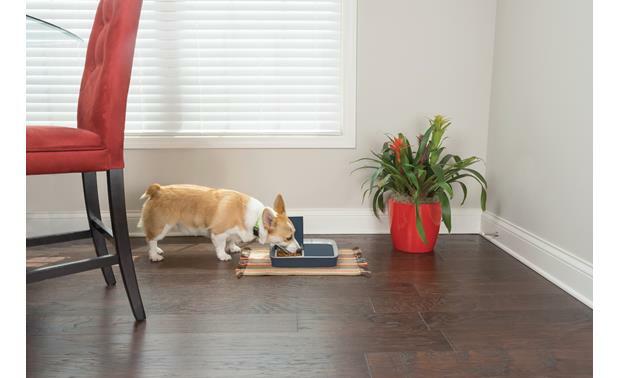 Use the LCD screen to set a timer, and rest assured that the lid will pop open at your pet's accustomed mealtime. 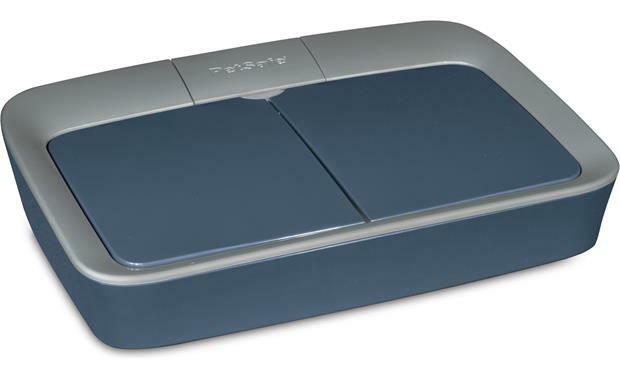 Overview: The PetSafe Digital Two Meal Feeder (PFD00-15426) is designed to automatically deliver meals to your pet whether you're at home or away. The feeder can also help establish healthy eating routines and control portions to prevent overeating. It is recommended for cats and small or medium dogs. 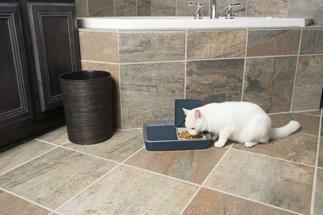 This battery-operated feeder has two food compartments with pop-up lids set to separate timers. The Digital 2-Meal Feeder is for indoor use only, and is powered by 4 "AA" batteries (not included). 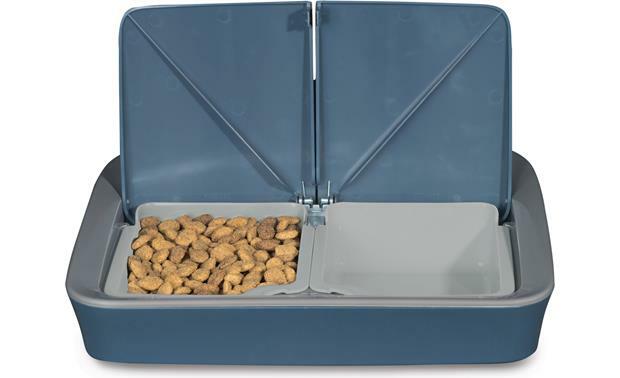 Dimensions: 11-13/16"W x 2-5/8"H x 8-1/2"D.
Food Compartments: The feeder features two removable food trays that hold 1.5 cups of dry food each (3 cups total). 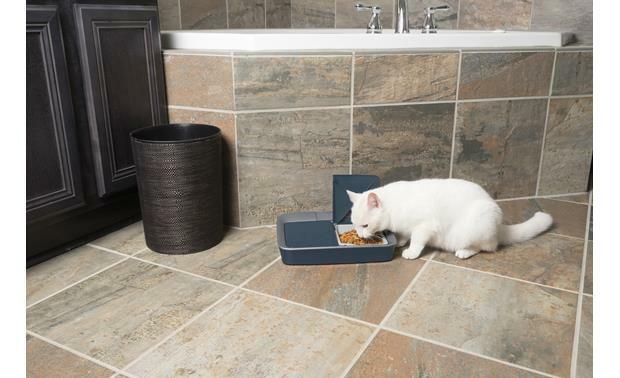 The locking lids are designed to prevent curious pets from breaking in. The trays are made of BPA-free plastic and are dishwasher safe (top shelf only). Digital Display / Timer: The Digital 2-Meal Feeder has a top-mounted control panel with a 1" (diagonal) LCD display and controls for the individual timers. You can set the timers to automatically open the spring-loaded lids after a set number of hours (1 to 99). For example, if you program the feeder at 9:00am, and set the left feeder to four hours and the right feeder to eight hours, the left feeder lid will automatically open at 1:00pm, while the right feeder lid will open at 5:00pm. As the countdown progresses, the LCD display will indicate how many hours or minutes remain to meal time.